Ideal for Basketball players of all levels and children wanting to try the World Game! 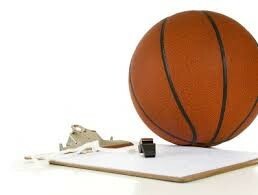 Our FUN Basketball programs focus on learning the basic skills with Maximum Participation. It’s all about FUN with a BALL. All Sessions are coordinated by Physical Education Teachers and run by Physical Education Specialists or Qualified Coaches. All Teachers, Specialists and Coaches have their Working with Children Check Certification. There are approximately 6 – 8 Sessions per program. Each Session is 1 hour in length. The program venue is on the School Grounds and is straight After-School on a set day per week. Payment for each program can be made in cash, cheque, credit card or direct deposit. Online Registrations and Payments will be available for selected schools and programs from 2015.